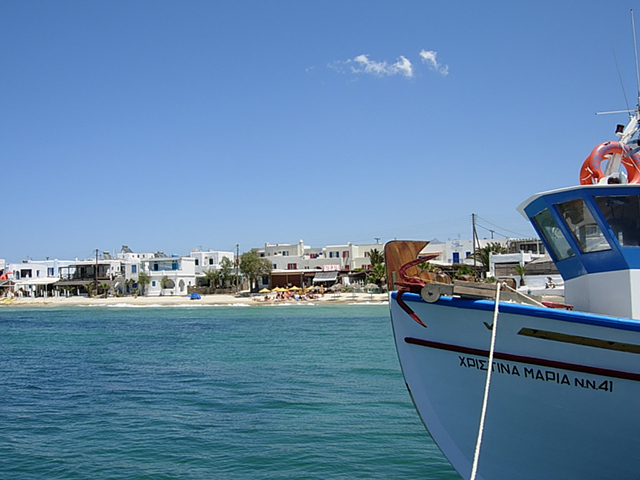 When you first arrive at the harbour in Naxos you will be welcomed by Portara on the left and the Venetian Castro on the right. 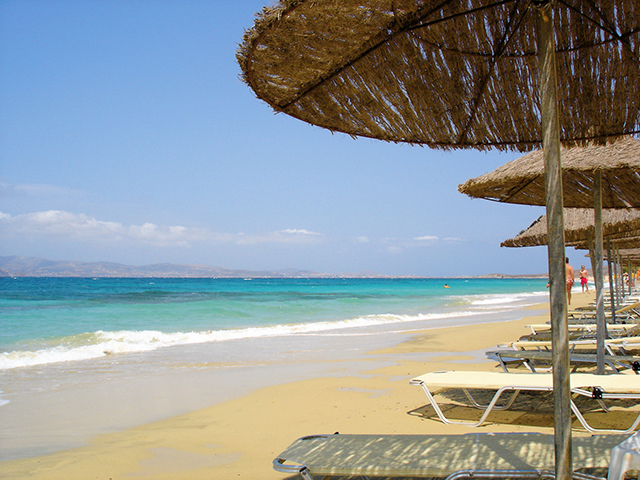 If you follow the coastal road, after a short time you will arrive at Naxos’ crystal clear sandy beaches. 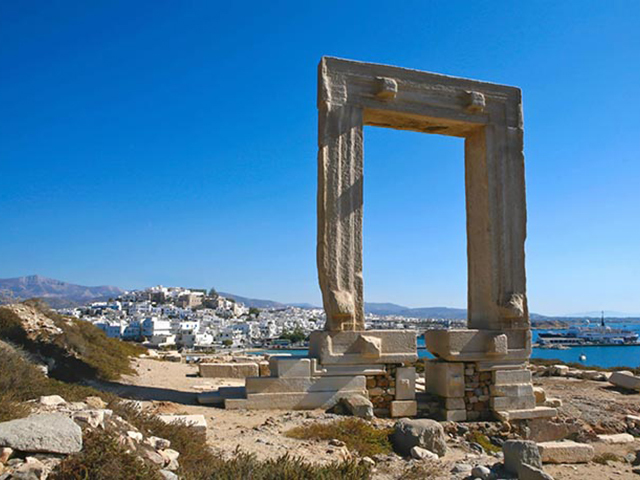 Naxos has been inhabited for about 6,000 years. 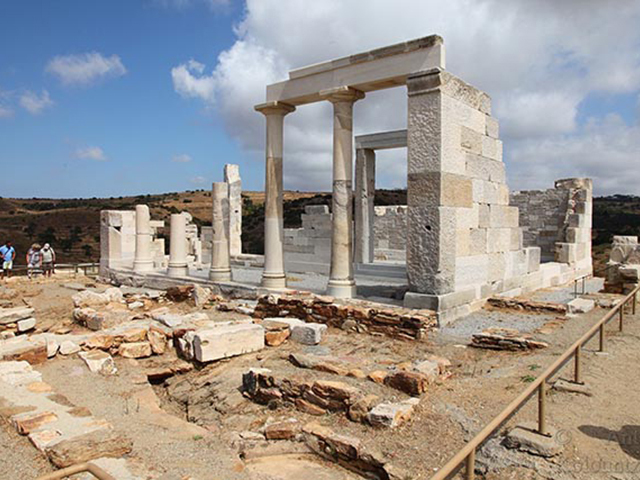 The whole island is dotted with antiquities and monuments which have been brought to light by archaeological excavations and with important, well-preserved and displayed archaeological sites. 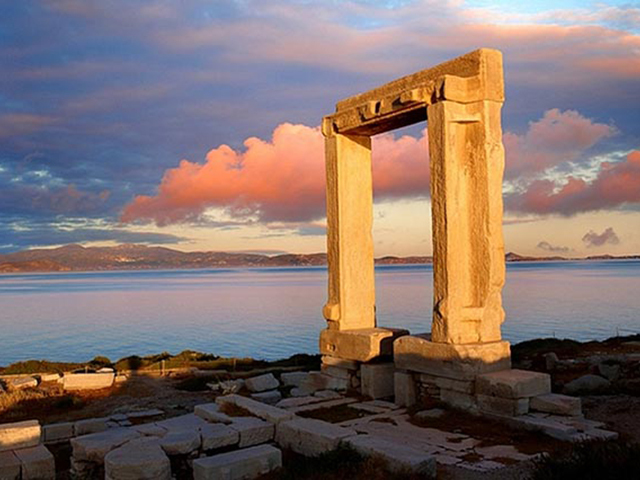 The huge marble “Π” of Portara, the gate of the ancient temple of Apollo on the islet of Palatia to the north of Naxos port, is considered to be the most iconic site in Naxos. 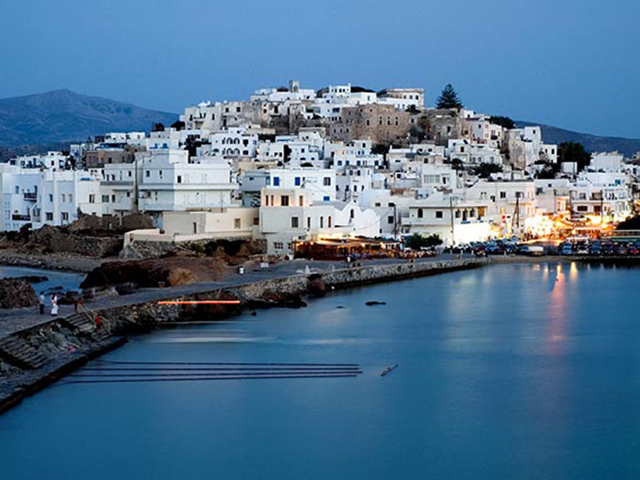 Portara, the Castro in Naxos Chora and the church of Panagia Myrtidiotissa in the shallow sea at the harbour are the symbols of Naxos Chora, and indeed the whole island, for both visitors and permanent residents. 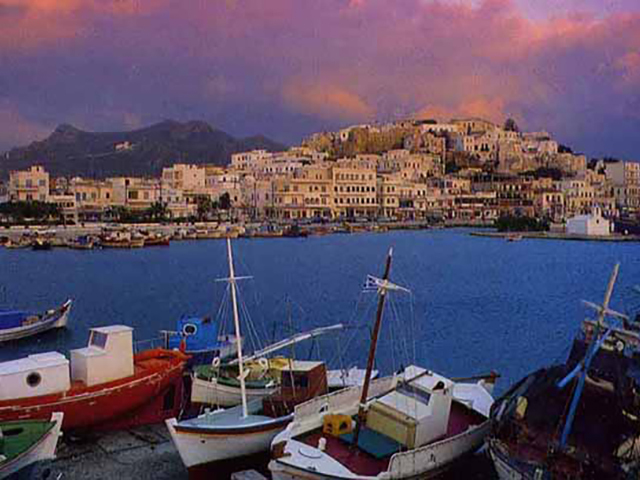 The harbour is in Naxos Town and a large number of ferries arrive there every day, especially in summer, bringing thousands of visitors to the island. 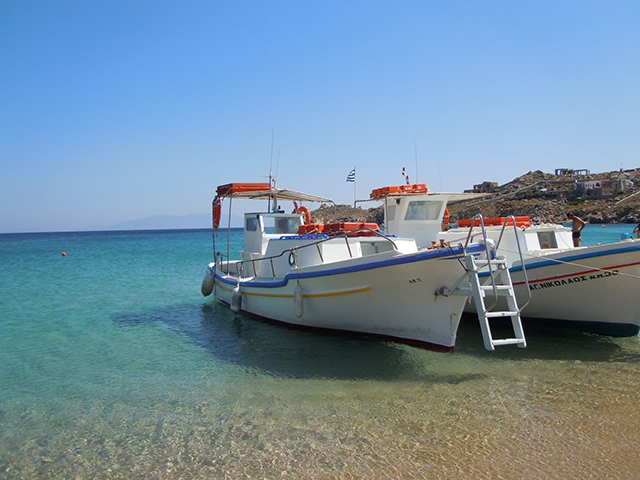 Naxos is connected to Athens (Piraeus), the other Cycladic islands and other islands in the Aegean by both ferry and air, which makes it easy to travel both to and from the island. 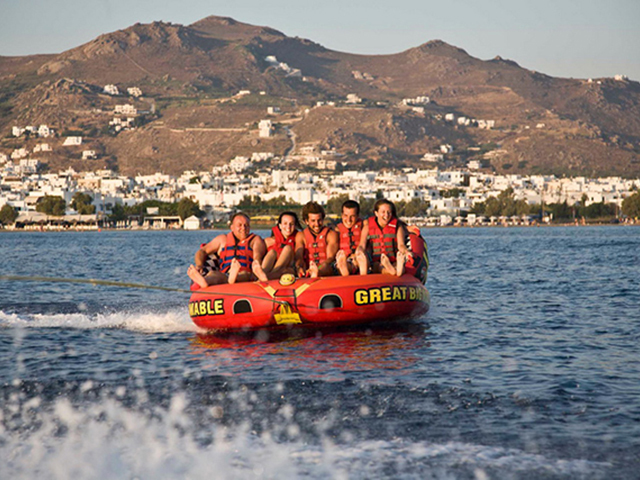 And as for your accommodation on Naxos, 9 Μuses can offer you all the best facilities and services! 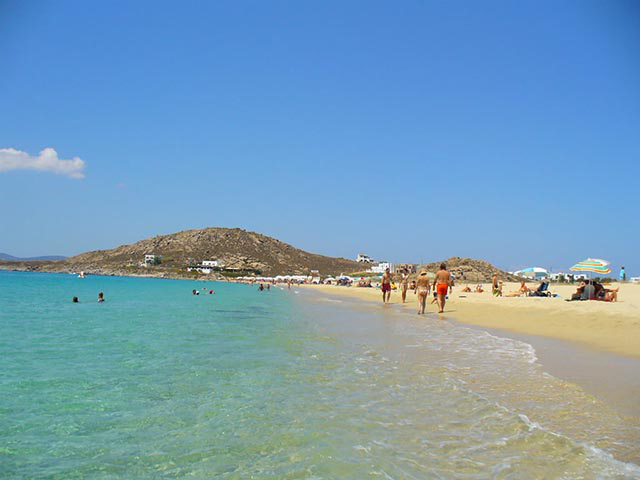 Naxos is the only island that can boast of its endless coastline (40 km), filled with a succession of incredibly beautiful beaches with outstanding turquoise seas and golden sands. 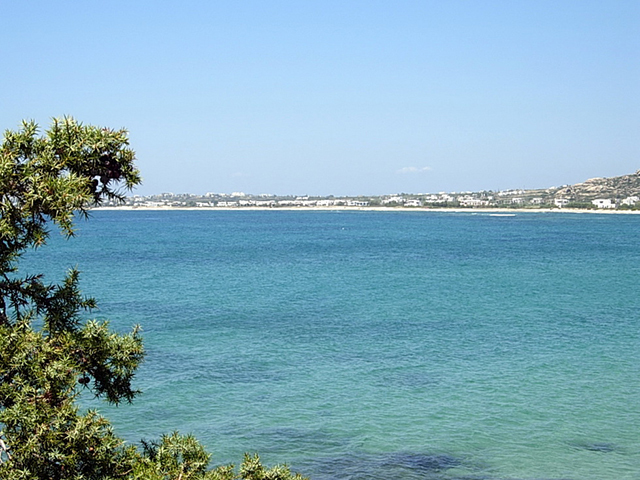 You can enjoy organised tourist beaches with sun lounges and umbrellas, explore unspoilt beaches, or head to beaches with sports facilities or family entertainment. 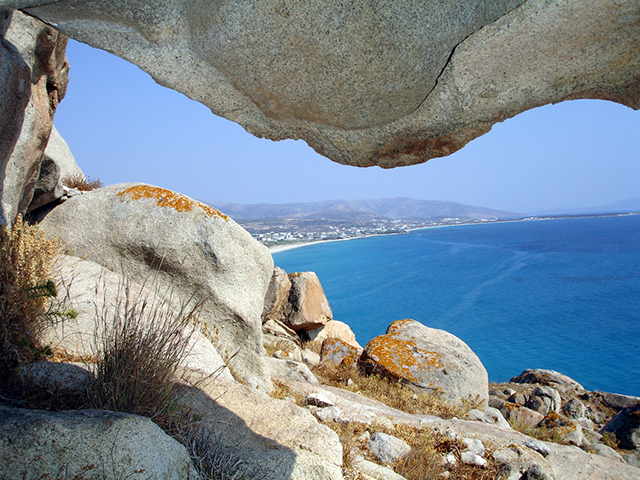 There are beaches next to ancient monuments, near major wetlands, medieval castles and Byzantine churches. 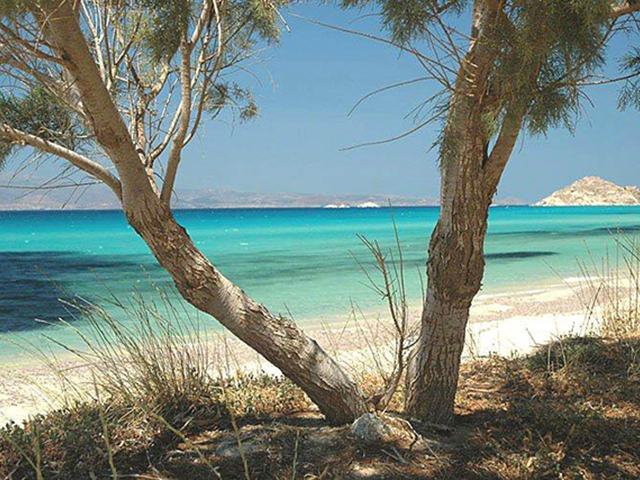 There are beaches just a stone’s throw from Chora, and beaches nestling in exceptionally beautiful natural landscapes that have not been touched by tourist traffic. 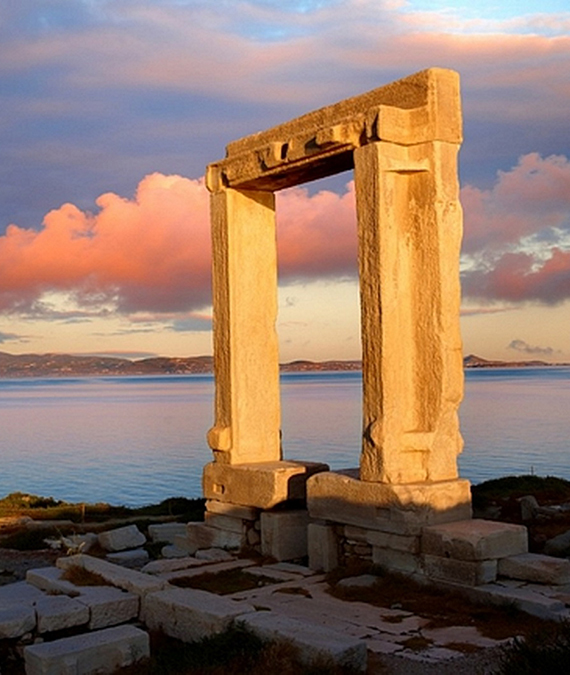 Enjoy the sunset at Portara, in front of Naxos harbour! 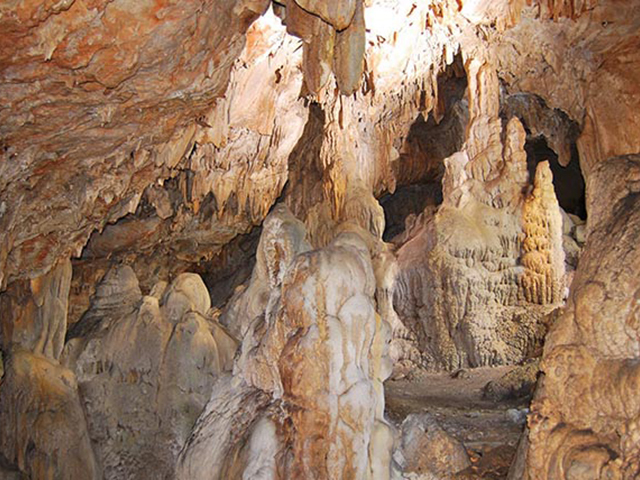 You will be enchanted by … the Kouros and the Kori, the half-finished ancient Greek statues you can explore in the beautiful orchards in lush Melanes! 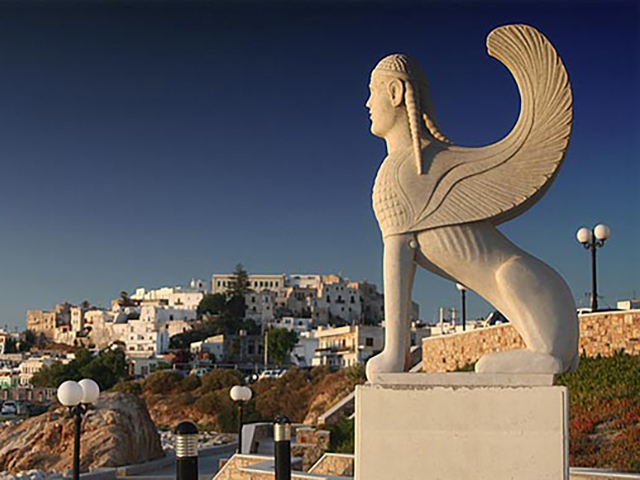 Visit Apeiranthos, Naxos’ most unique village architecturally! 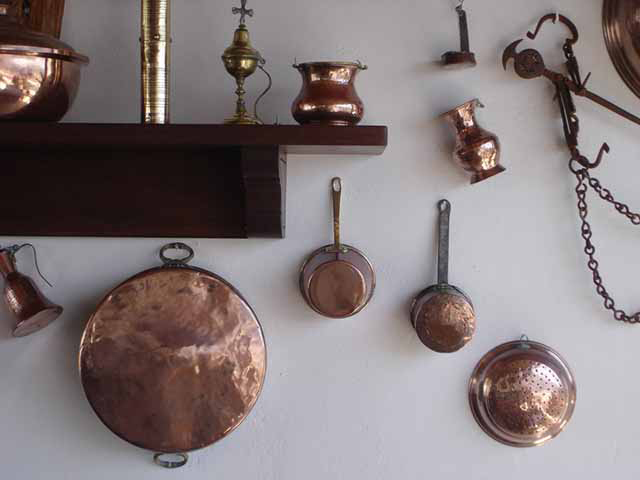 You will hear Cretan dialect spoken, enjoy eating Cretan baking, see Cretan customs and … a lot of raki! 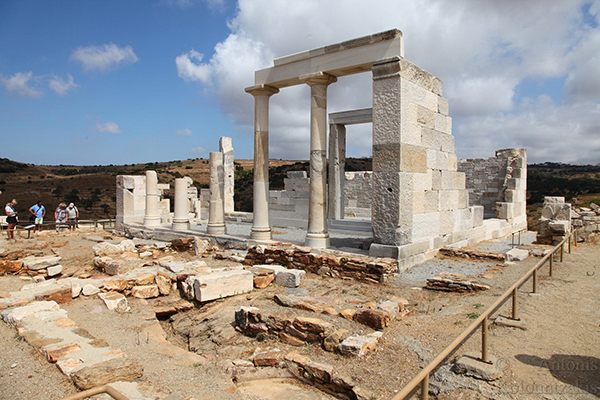 Admire the Temple of Dimitra in Sagri which is said to have been built by the builders of the Acropolis! 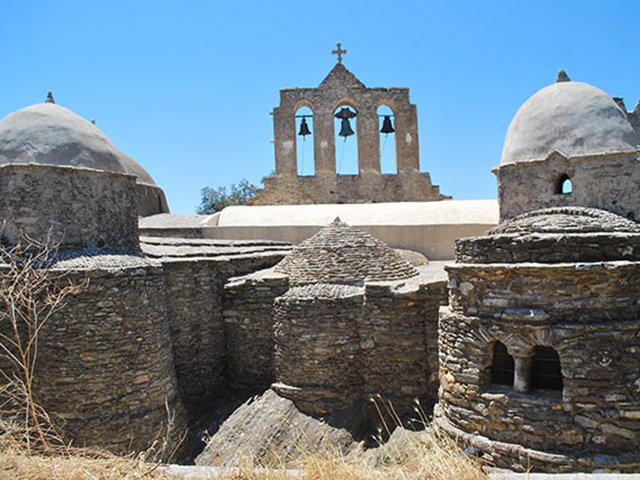 You can wander along the picturesque alleys in the Castro in Naxos old town, explore the Archaeological Museum and the Catholic Church. 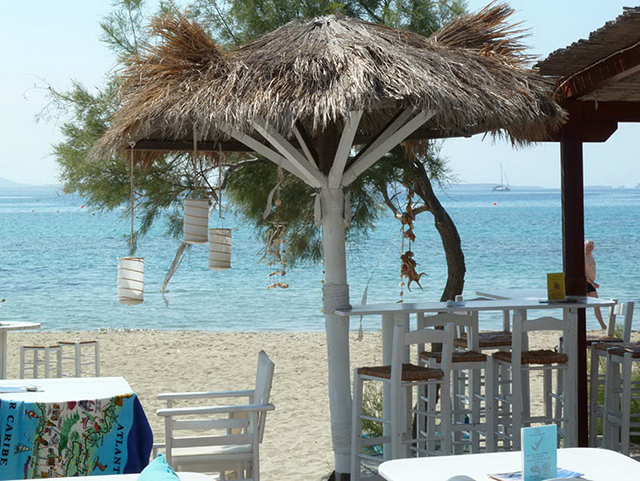 This is the perfect place to buy souvenirs, both small and large, for friends and acquaintances from the dozens of small shops! 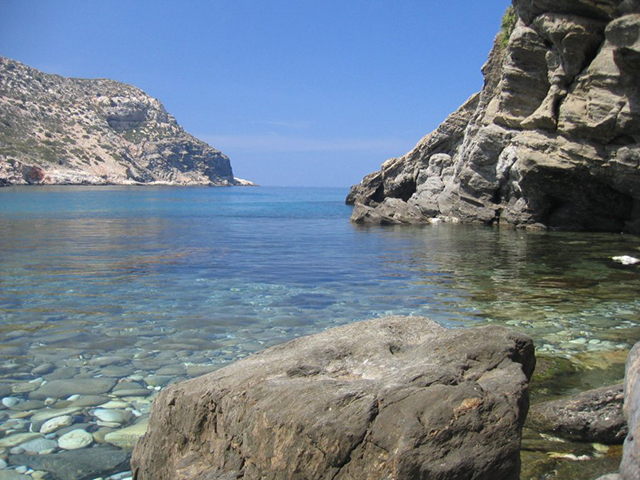 You can swim at the majestic beaches at Kastraki, Agia Anna, Prokopios, Plaka and Mikri Vigla (the most popular beach on the island!). 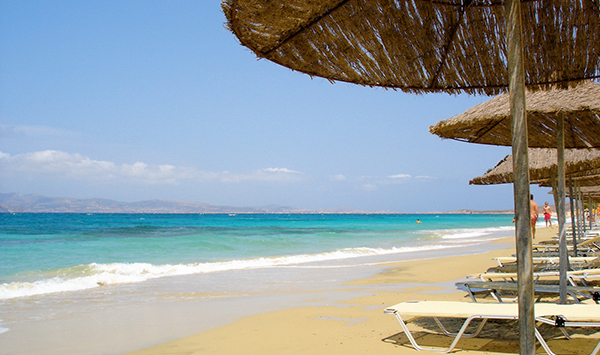 Or enjoy the oasis of peace and quiet at Moutsouna and Kalantos beaches. 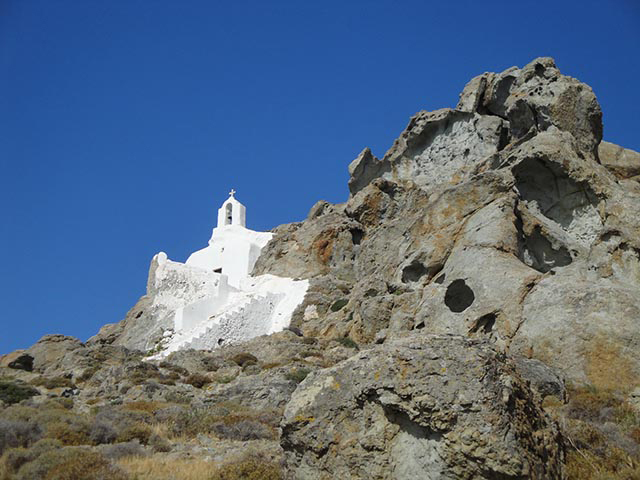 Finally, you can even go hiking on the island’s highest mountain, Za (1004m). 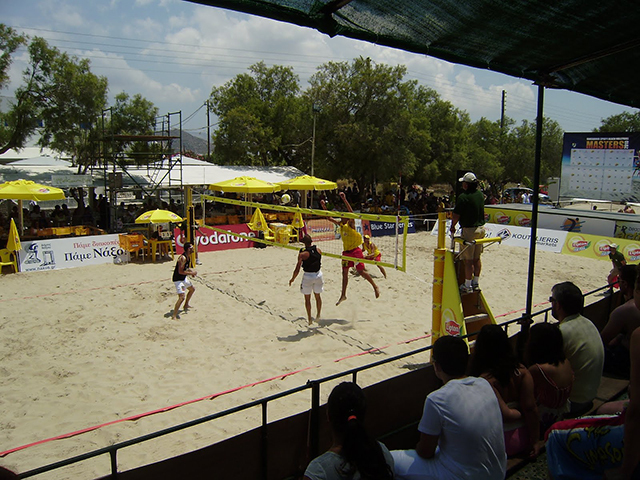 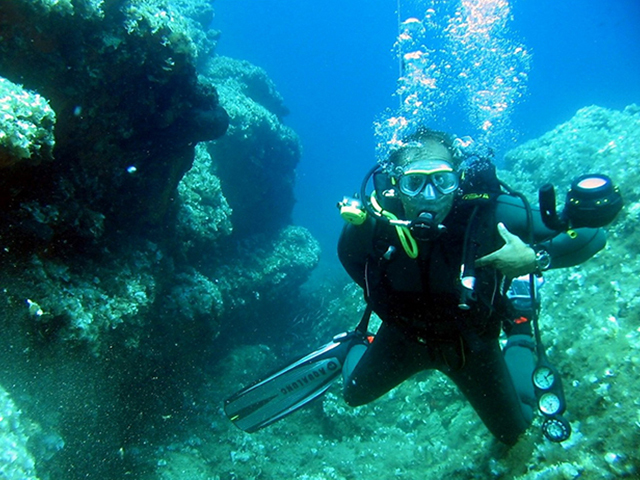 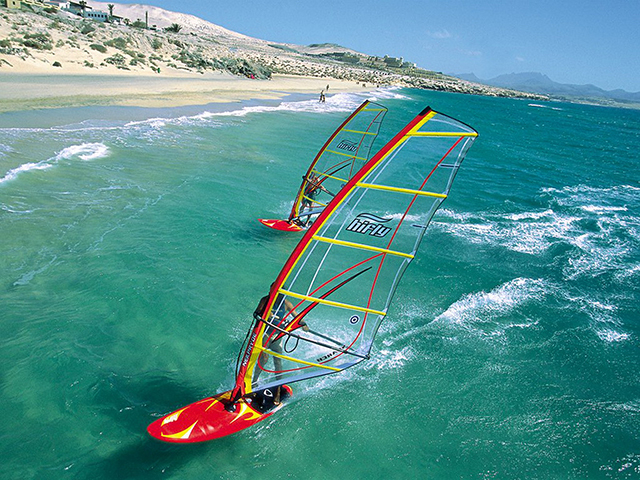 The main activities on Naxos revolve around the sea, the wind and the summer. 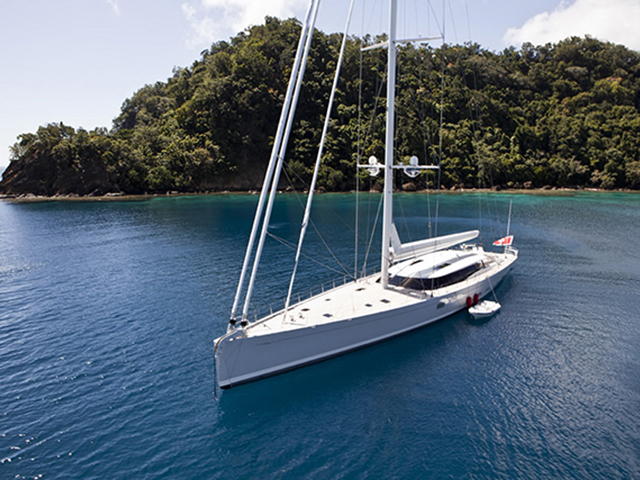 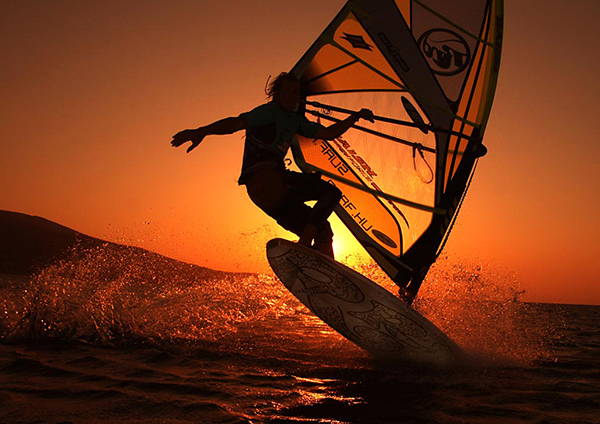 The beaches on the southern and south-west coastline are hotspots for wind / kite surfing, classic sailing (inflatable boat / catamaran), banana trips, water-skiing and diving. 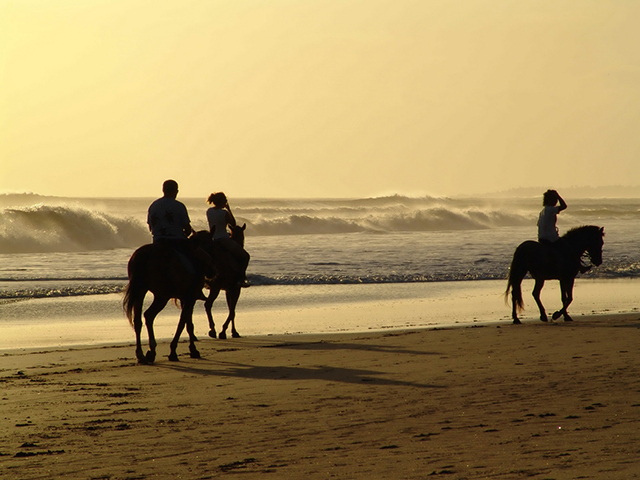 You can also go horse riding along the endless sandy beaches and dirt roads on the south-west side of the island. 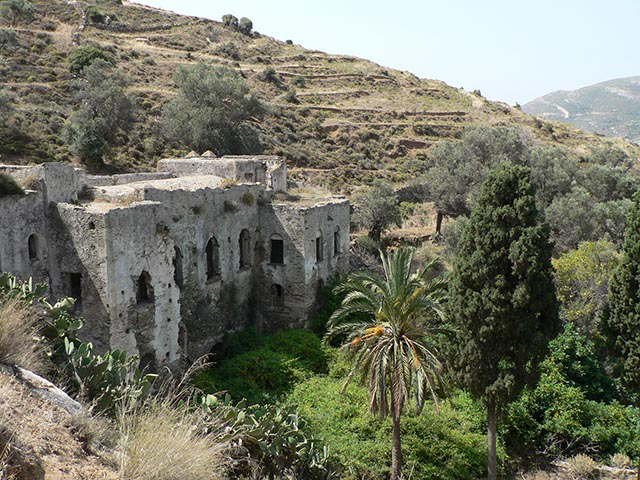 The island’s mountains and valleys have a network of traditional paths that can be explored all year round, and there are also plenty of challenging dirt tracks to explore on mountain bikes. 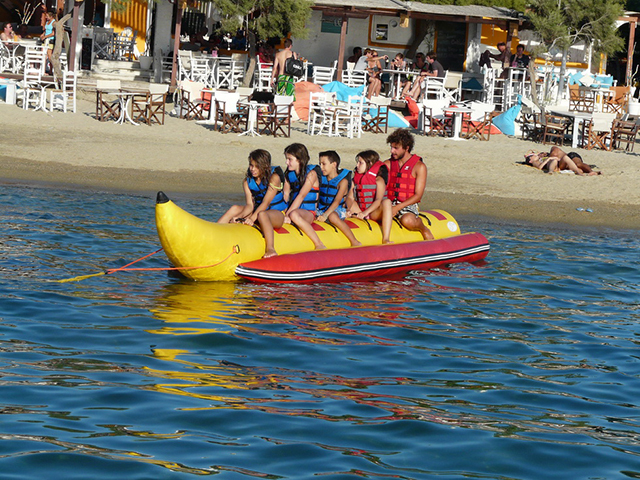 The sea is always a suitable temperature for swimming and relaxation, but if you want something a little different, there are waterslides where you can play for hours! 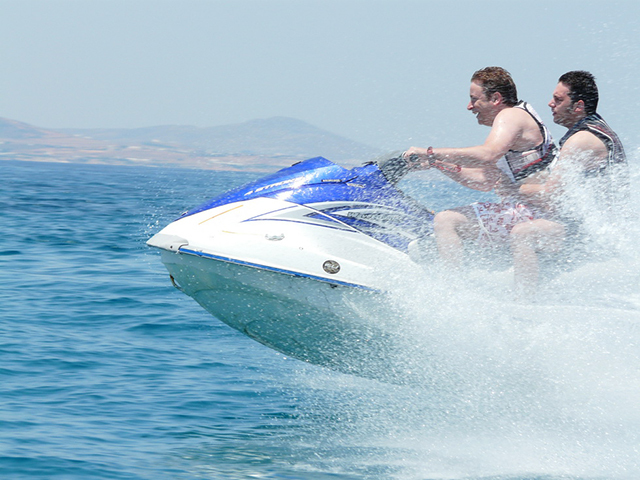 Naxos Chora has fitness facilities where you can pay by the hour to work out without being a member, as well as a tennis club and 5 x 5 football pitches with artificial grass.